Gotham season two is all about the villains, so Fox has just cast one of Batman’s most famous foes (even if the two will probably never face off on the show). 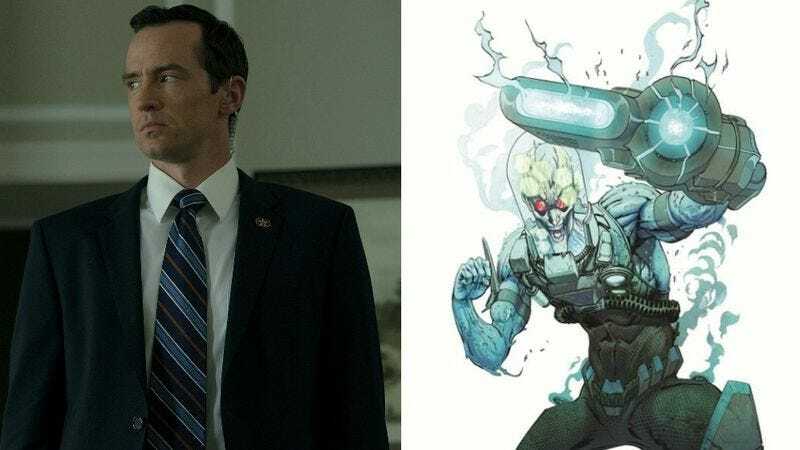 The network announced via press release Wednesday that House Of Cards’ Nathan Darrow has joined the cast as Victor Fries a.k.a Mr. Freeze (a.k.a The Refrigerator). Darrow will have a recurring role as Fries, who is one of Gotham’s most prominent cryogenic engineers. Although he “struggles to make meaningful connections” with most people, he bears an intense love for his terminally-ill wife, Nora. That passion will push him past his ethical bounds in his efforts to put her in some kind of cryo-stasis before her disease can progress, because love makes monsters of us all, Barbara. Fox’s statement was bereft of n-ice puns, possibly because Gotham’s executive producer, Danny Cannon, pledged last year to “reinvent” the character and ensure that his story is in keeping with the “credible” nature of the show. Cannon will reportedly use his years of CSI: Crime Scene Investigation experience to lend more authenticity to the story of a madman who attempts to freeze his wife and parts of the city.